WESTLAKE VILLAGE, CA, September 10, 2014 — Guitar Center Professional (GC Pro), the outside sales division of Guitar Center that focuses on the needs of professional users, served as a sponsor for Mix Magazine’s Sound-for-Film event “Immersive Sound: From Production to Playback,” which took place Saturday, September 6, 2014, in the Anthony Quinn Theater at Sony Pictures Studios in Culver City, California. GC Pro displayed the latest in high-technology products, including the new RAVEN MTX consoles as well as ADAM Audio monitors in a surround sound configuration at the event. 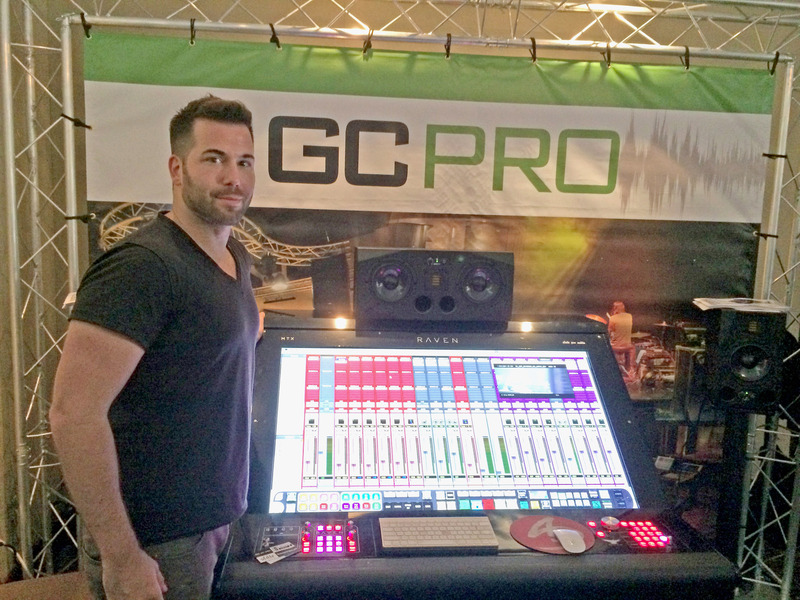 Pictured is Steven Slate, CEO, Slate Pro Audio, the manufacturer of the RAVEN MTX console, at GC Pro’s booth. Photo courtesy of GC Pro.